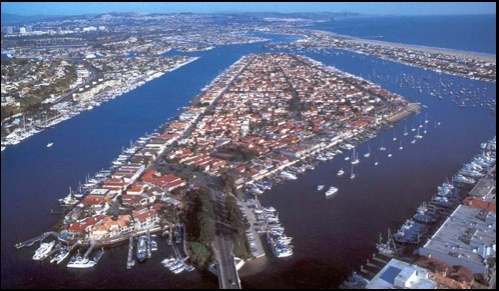 Newport Beach is renowned for its location, prestige, community organizations, and impressive school district. It is located on the Pacific coast, near the University of California Irvine, and within the Newport-Mesa Unified School District. It is home to the famous shopping mall, Fashion Island, the local Orange County airport, John Wayne, as well as many business firms that set up office-research parks in surrounding areas. The University of California Irvine offers college level courses to the public through their extension program. In 2000, resident passed a $110 million bond to renovate all schools within the district, and more recently a $282 million construction bond. The schools in the Newport-Mesa Unified School District score within the 80th-90th percentiles compared to other schools in California. In the 2000 census (which did not include recent annexation) put the median age of residents at 41. In 2005 there were 42,143 housing units; 56% are homeowner occupied, and the remaining 44% are rentals. Residents under 21 make up 18% of the community. As far as recreation and activities go, Newport Beach has almost too much to offer. 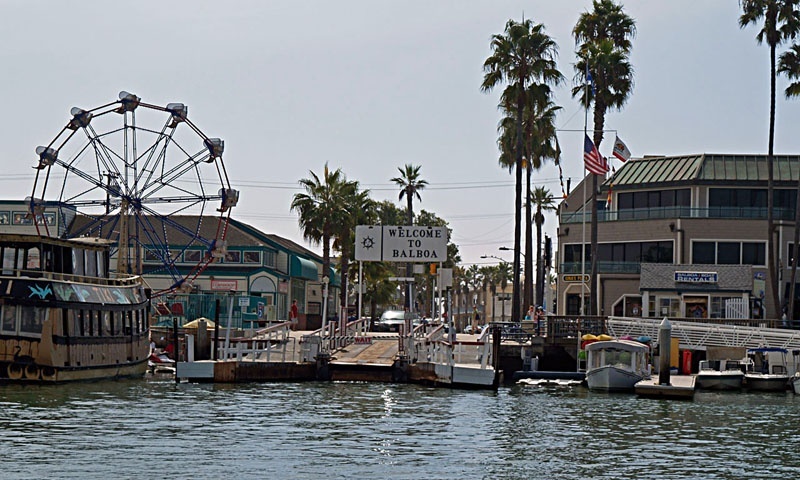 The marquee recreational attraction is Newport Bay which houses more than 9,000 boats of all types within the 21-square-mile harbor area. Newport Beach also boasts of three golf courses, a large park-ecological preserve, beaches, boating and water sports, hiking and jogging paths, and parks throughout the city. All which enhance the already beautiful and unique community. The climate of Newport Beach is very mild and cool, with average summer temperatures at 75 degrees and the average winter temperature is 65 degrees. Newport Beach's average annual rainfall is a little more than 12 inches. Newport Beach is beautiful and sunny during the summer, accomodating many residents and tourists that wish to enjoy Newport's great beaches. Newport is home to a number of great surf breaks, so Newport Beach accomodates even the veteran surfers. You can find addtional information on swells and waves through http://www.surfline.com/. In 1870, Captain Samuel Dunnells steered a 105-ton river steamer Vaquero through upper Newport Bay. James and Robert McFadden rushed from Northern California by stagecoach to mark the inaugural voyage. Dunnells' trip cast new light on the bay, which many had said was too treacherous for travel. But McFadden brothers and James Irvine, thought they had something after Dunnells' trip, and called it a "new port." Newport wasn't always such a desirable place. In the mid-1800s, the state of California sold parts of Harbor, Balboa and Lido islands for $1 an acre as "swamp and overflow land." In 1888, the McFaddens decided their shipping business would be more successful if they moved it from the inner shores of the bay to the oceanfront, where they could build a wharf. McFadden Wharf soon became the largest business in newly created Orange County. In August 1906, residents in the booming bay town voted to incorporate. The vote was 42-12 to become the city of Newport Beach. Back then, bay front houses sold for as little as $500. Today, the median price of homes in Newport Beach is approximately $545,000.